Smokey Bones Bar & Fire Grill will host a night of family fun on June 3, from 5-8pm, at the Smokey Bones in Brandon, Fl., kicking off the restaurant’s initiative to raise $50,000 for military charity, Fisher House Foundation. The foundation provides temporary free lodging so families can be close to their loved ones during a medical crisis. The event will feature 2-3 military and veterans’ families directly impacted by Fisher House Foundation to launch a limited-time-only, All-American burger menu, created by Executive Chef and Army veteran Jason Gronlund. The families will visit the restaurant to enjoy a hands-on cooking experience with United States Army Veteran, Executive Chef Jason Gronlund, Fisher House Foundation representatives, and Chris Artinian, President and CEO of Smokey Bones. Aside from Fisher House families, all military and veterans are invited to visit the Brandon, Fl. Smokey Bones during the event and will receive a 10% discount. 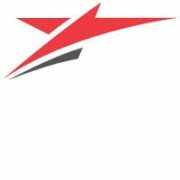 The casual dining restaurant entered into partnership with Fisher House Foundation in early spring 2015 and has since committed to a donation goal of $50,000 to the military charity in 2015. For more information regarding Smokey Bones, visit: www.smokeybones.com. For more information regarding Fisher House Foundation, visit: www.fisherhouse.org. Smokey Bones, the favorite choice for food, drinks, and fun, is a full-service bar and fire-grill restaurant that operates 65 locations in 16 states and employs nearly 3,700 people. It is owned by an affiliate of Boca Raton, Fla.-based Sun Capital Partners, whose portfolio of restaurants also includes Boston Market, Friendly’s, Johnny Rockets, Fazoli’s, Bar Louie, and other restaurant brands representing approximately 2,000 locations and $2.0 billion in sales. Fisher House Foundation is best known for a network of comfort homes where military and veterans’ families can stay at no cost while a loved one is receiving treatment. These homes are located at major military and VA medical centers nationwide, and in Europe, close to the medical center or hospital it serves. Fisher Houses have up to 21 suites, with private bedrooms and baths. Families share a common kitchen, laundry facilities, a warm dining room and an inviting living room. Fisher House Foundation ensures that there is never a lodging fee. Since inception, the program has saved military and veterans’ families an estimated $282 million in out of pocket costs for lodging and transportation. Lots of activity impacting DOD spending the past 2 weeks. The House and Senate agreed on a budget deal that allows Congress to exceed congressionally mandated caps for defense spending set in the Budget Control Act of 2011 without triggering sequestration. By increasing spending authority for wartime funds, the budget deal is a BIG victory for GOP defense hawks against fiscal conservatives. In addition, the House approved the 2016 National Defense Authorization Act (NDAA) by a vote of 269-151. Numerous Democrats opposed the bill due to its use of OCO funds to raise defense spending without a corresponding increase in non-defense funding. President Barack Obama has also voiced opposition to the bill in its current form. To fully understand what the budget resolution approved by the House and Senate accomplishes, one needs to be aware of the accounting gimmick that is being used here. Funding for the Department of Defense that is not war related (“base budget”) is subject to the budget caps. Funding that is war related, referred to as Overseas Contingency Operations (OCO) funding, is not subject to the budget caps. However, keep in mind that the definition of what belongs in one budget or the other is very subjective. The President’s base budget request for DOD exceeded the budget caps by ~$38 billion. The budget resolution approved by the two chambers authorizes base budget funding at a level within the budget caps, but also provides an additional $38 billion above the President’s request for OCO funding. While it requires congressional defense authorizers and appropriators to get creative in defining what funding belongs in the base funding and what belongs in the OCO, ultimately this flexibility enables them to provide funding for DoD at the same level as the President’s total request. Following the direction included in the budget resolution, last week the House approved the FY2016 National Defense Authorization Act (NDAA) that preserved funding levels requested by the military in the President’s fiscal year 2016 budget. The NDAA recommends $496 billion in Pentagon base budget funding, a level that remains below the congressionally mandated caps. However, to make the investments in procurement, personnel, and research and development laid out in the President’s request, this legislation used the flexibility provided by the increase in OCO funding included in the budget resolution to boost OCO funding to $89.2 billion. This increase amounted to an additional $38 billion in operations and maintenance spending normally included in the base budget that was essentially transferred into the OCO and designated “war related”. This funding transfer created $38 billion worth of “head-room” under the budget caps and was back-filled with the personnel, R&D, and procurement requirements necessary to meet the DOD’s funding needs as identified in the President’s budget request. (See the gimmick now?). Although this arrangement will keep some fiscally conservative Republicans from trying to pare back military funding, the defense budget still faces an upward climb. House and Senate appropriators will still have to agree to the heightened OCO fund, and President Barack Obama has said increases to defense accounts must be accompanied by a boost to domestic spending. This is all leading right down the tracks to a fiscal train wreck later this year. The House Defense Appropriations Subcommittee marks-up its FY2016 Defense Appropriations Bill on Wednesday. 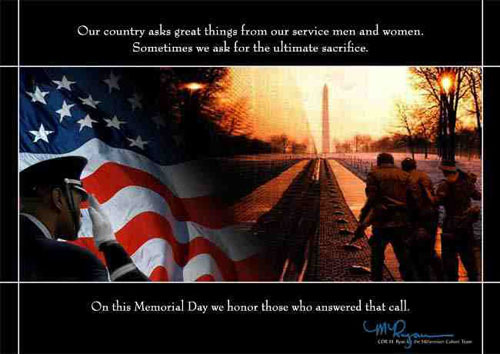 The full House will consider this measure after the Memorial Day holiday. Senate action the FY2016 NDAA will also begin this week. 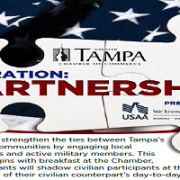 The Greater Tampa Chamber of Commerce’s annual program connecting active duty military with business people returns with Operation Partnership. This program pairs military participants with their civilian counterparts, allowing active duty members to experience day-to-day activities in the civilian workforce before they leave the military. The program kicks off with a breakfast on June 8th at 8 am at the Greater Tampa Chamber of Commerce’s offices with a cost of $20 for business people. Business people looking to host a military member can register on our events page. Active duty who would like to participate can email me at mmaurino@tampachamber.com . We are hoping to schedule 30 business people to match up with 30 military members. 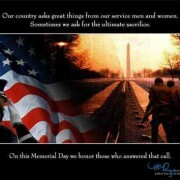 This event is complimentary for active duty military. Lots of activity impacting DoD spending last week. The House passed a budget deal that allows Congress to exceed congressionally mandated caps for defense spending set in the Budget Control Act of 2011 without triggering sequestration. By increasing spending authority for wartime funds, the budget deal is a BIG victory for GOP defense hawks against fiscal conservatives. In addition, the House Armed Services Committee approved the 2016 National Defense Authorization Act (NDAA) taking full advantage of the budget authority granted them by the budget deal. To fully understand what the budget resolution approved by the House accomplishes, one needs to acknowledge the shell-game that is being played here. Funding for the Department of Defense that is not war related (“base budget”) is subject to the budget caps. Funding that is war related, refered to as Overseas Contingency Operations (OCO) funding, is not subject to the budget caps. However, keep in mind that the definition of what belongs in one budget or the other is very subjective. The president’s base budget request for DoD exceeded the budget caps by ~$38 billion. The budget resolution authorizes base budget funding at a level within the budget caps, but also provides an additional $38 billion above the president’s request for OCO funding. While it requires congressional defense authorizers and appropriators to get creative in defining what funding belongs in the base funding and what belongs in the OCO, ultimately this flexibility enables them to provide funding for DoD at the same level as the President’s total request. The Senate is expected to approve the budget resolution this week. Although the agreement will keep some fiscally conservative Republicans from trying to pare back military funding, the defense budget still faces an upward climb. House and Senate appropriators will still have to agree to the heightened OCO fund, and President Barack Obama has said increases to defense accounts must be accompanied by a boost to domestic spending. Following the direction included in the budget resolution, last week the House Armed Services Committee approved a $611.8 billion defense authorization bill that preserved funding levels requested by the military in the president’s fiscal year 2016 budget. funding to $89.2 billion. This increase reflected an added $38 billion in operations and maintenance spending usually found in the base budget (see the shell-game now?). The NDAA is slated for debate on the House floor next week, where it will come under the scrutiny of House appropriators, fiscal conservatives and others that could try to strip away the extra wartime funding. The House Defense Appropriations Subcommittee is expected to begin consideration of the defense appropriations bill the third week in May. The full House will consider this measure after the Memorial Day holiday. Senate action on both the NDAA and the defense appropriations bill will also begin after the holiday.